"Healthy Weight Loss & Self-Esteem" will help to you lose weight and live a healthy lifestyle that will naturally uplift your self-esteem. Subliminal suggestions for deep relaxation and positive change will be received by your subconscious, increasing your energy level, motivation, and self-confidence. Why wait another day? 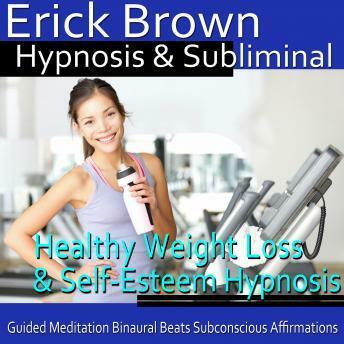 Take on a healthy lifestyle and start seeing results with this hypnosis program today! I have been listening to this faithfully for over a month. It hasn't helped a bit. I was so excited to see results. I'm just disappointed.